Privacy is easier than you think. 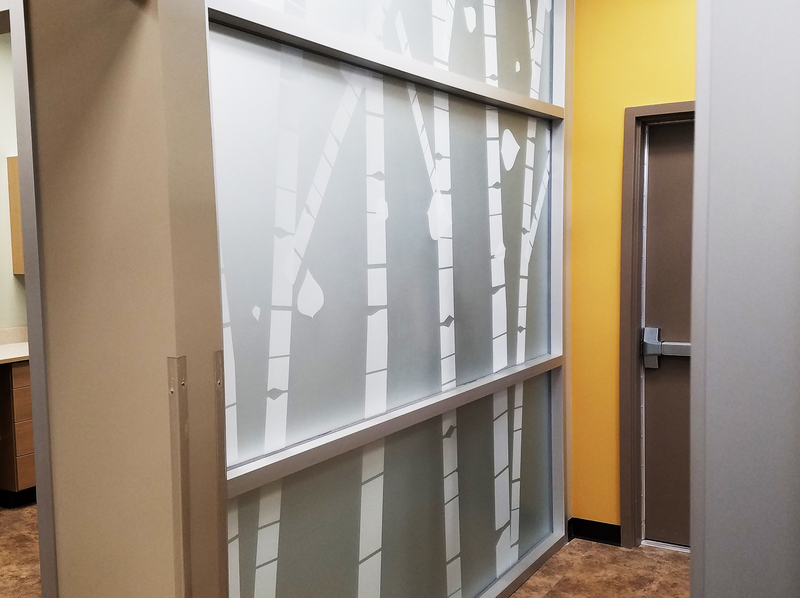 Just add our etched vinyl window privacy film to your existing clear glass or Plexiglas and you can turn any open space into a customized private room. 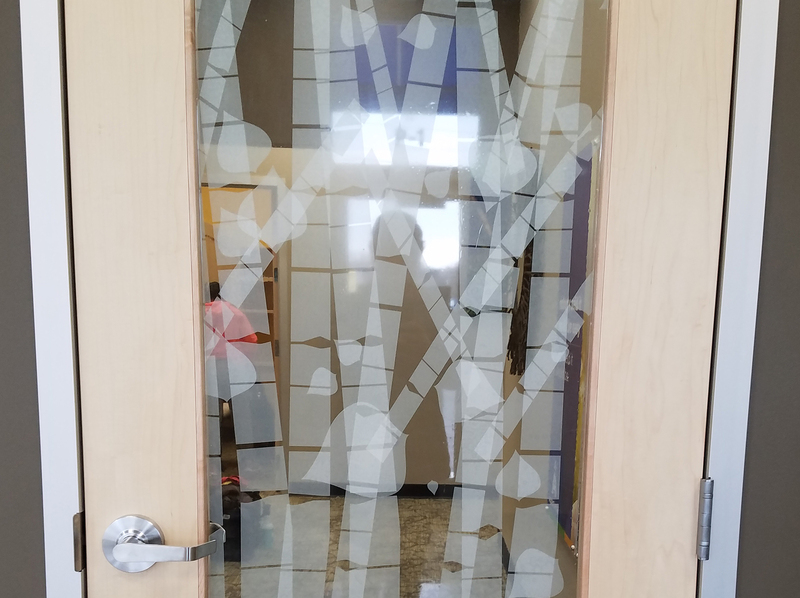 Window privacy film is an inexpensive alternative to etched or treated glass. 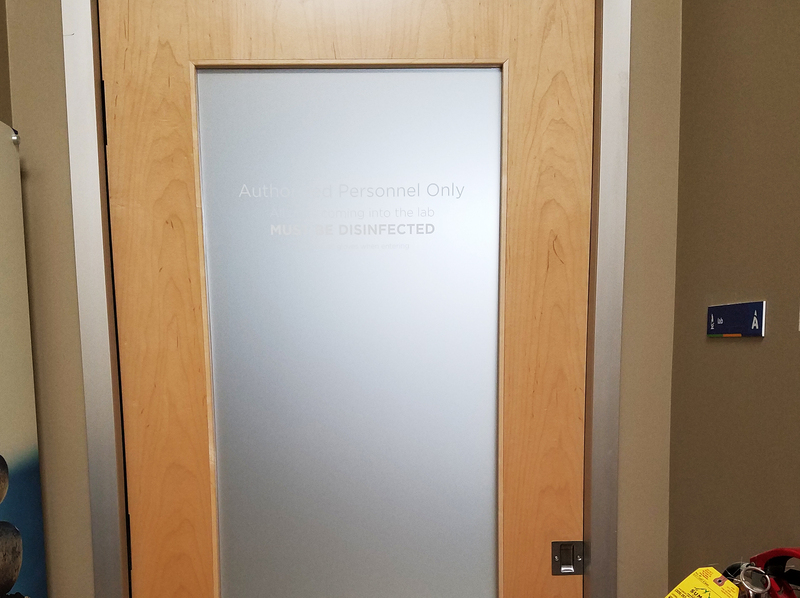 In addition to adding privacy, this film is also ideal for changing the look of a room and giving it a high-end appeal. The vinyl can cover all or any portion of the clear surface and can be customized with a logo or design. Meeting Rooms– Hosting a meeting is difficult when you don’t have a private area for your employees to gather. 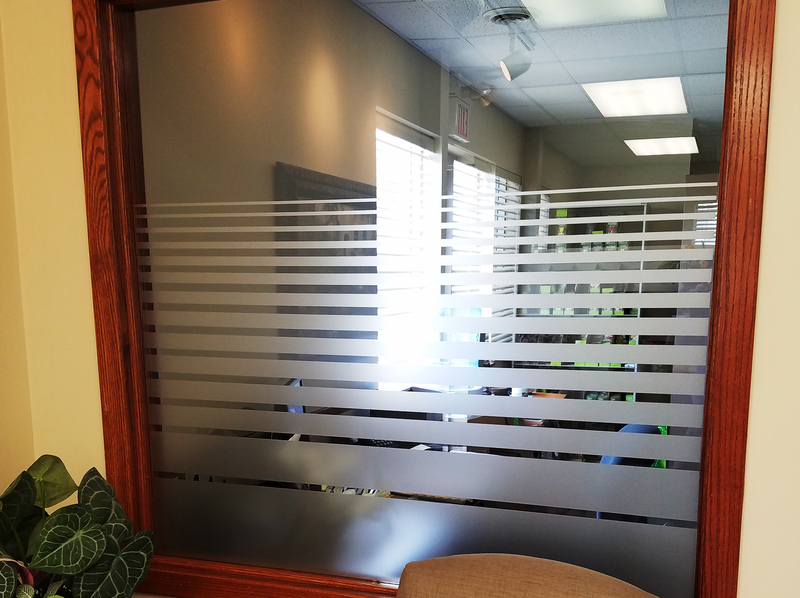 Turn an open or glassed in space into a private board room with the simple addition of privacy film. Private Offices – Every employee wants his or her own private office. It’s possible when you get the most out of every nook on your property using window film. 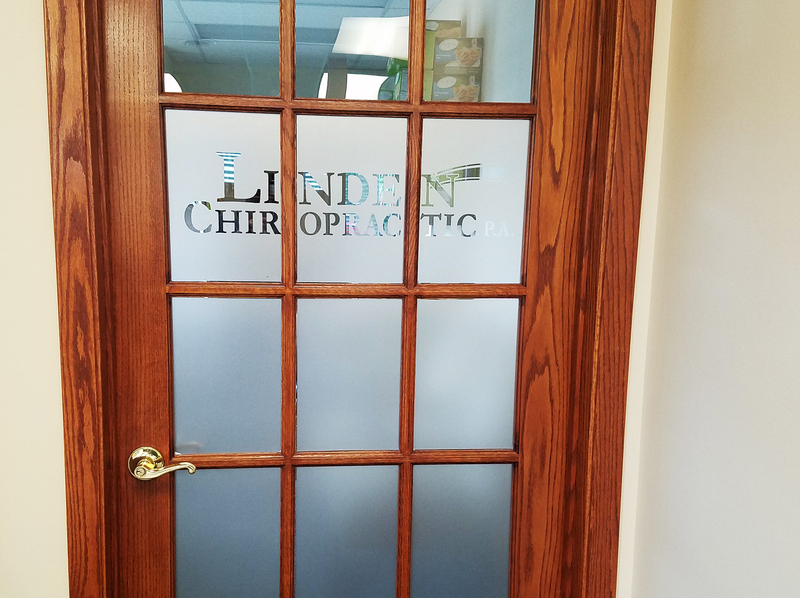 Retail Spaces – Restaurants, spas, and fitness centers often have panes of glass that separate different areas. 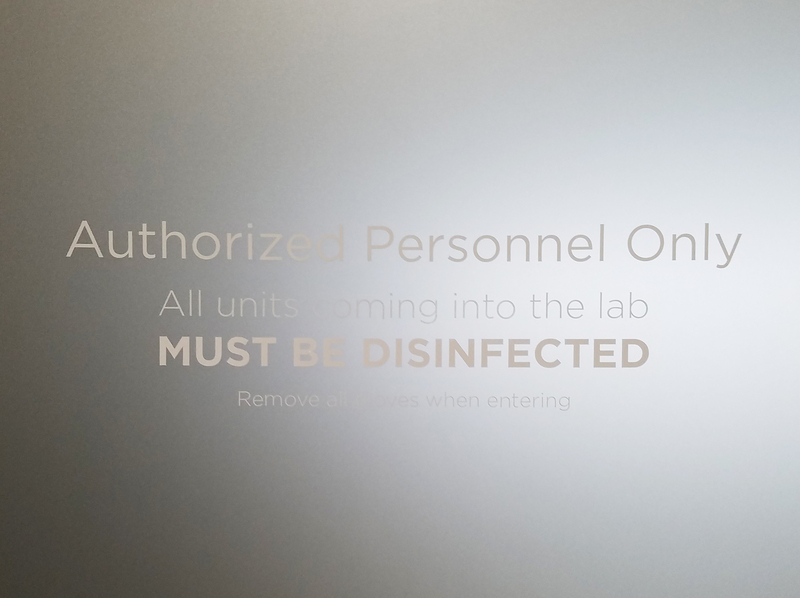 You can put customers and visitors at ease by installing frosted vinyl on these dividers. And, when you incorporate your logo, you give your brand awareness a boost.